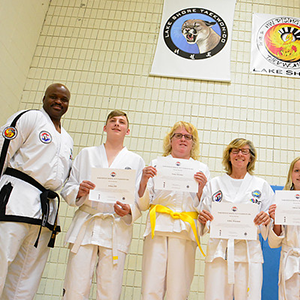 NW Rising Sun at Lake Shore instruction is ITF Taekwon-Do based on the teachings of the Founder of Taekwon-Do, General Choi Hong Hi. 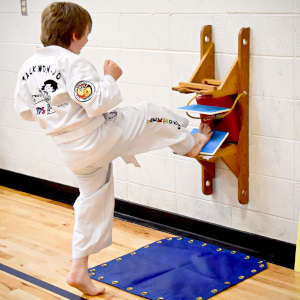 Students are taught to use these techniques to avoid injury and allow for an escape, should a situation arise.This art builds discipline, self-confidence and self-respect. Our classes provide a great cardio workout that addresses whole body fitness in an enjoyable and safe atmosphere. 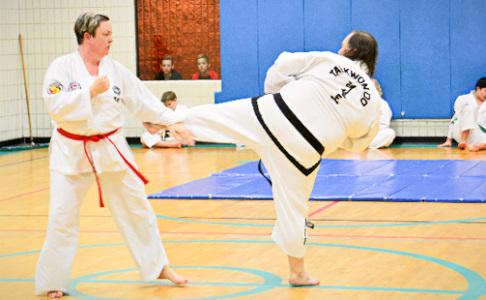 Taekwon-Do is for all ages and body types, and teaches ways of enhancing your life through training your body and mind. 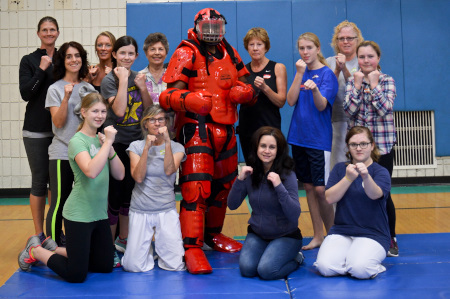 Whatever your present physical condition, the training is carefully tailored to slowly introduce you to this fascinating and dramatic art of self defense. With that, it’s our mission to provide you with quality instruction in an environment that helps students achieve their goals. We are a community of like-minded individuals who come together to study, practice, and make each other better! When: Monday & Wednesdays, Beginners 5-6:00pm; Inter/Advanced 6:10-7:30pm. Last Friday of the month is sparring. My interest in martial arts began, possibly like you, at a young age. I realized early in my journey that my training would become more than just a hobby. 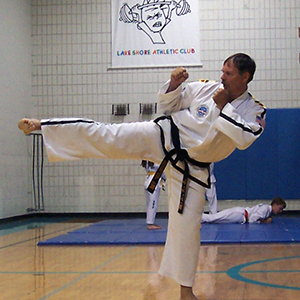 Taekwon-Do influenced me past the training floor, and touches almost every aspect of my life. As a 4th degree black belt, I continue to train under the instruction of my Chief Instructor, Mr. Scott Saccareccia (6th Dan) and Secretary General of the Original Taekwon-Do Federation of America (OTFA). I’ve also had the privilege to train with both Gen. Choi and Master Affatigato, President of the OTFA. I continue to compete Regionally, Nationally, and Internationally as well. Taekwon-Do has grown into a passion that has helped me create great life-long friendships, has allowed me to travel to different parts of the world and find a home where like-minded people are always striving for excellence. I hope to inspire you to challenge yourself every day, to show courtesy, have integrity, practice self-control, and always persevere with indomitable spirit! 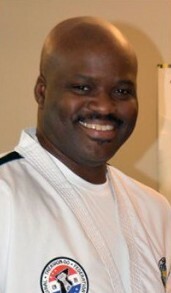 I look forward to enhancing your Taekwon-Do experience by sharing my passion of the Art. Taekwon! !